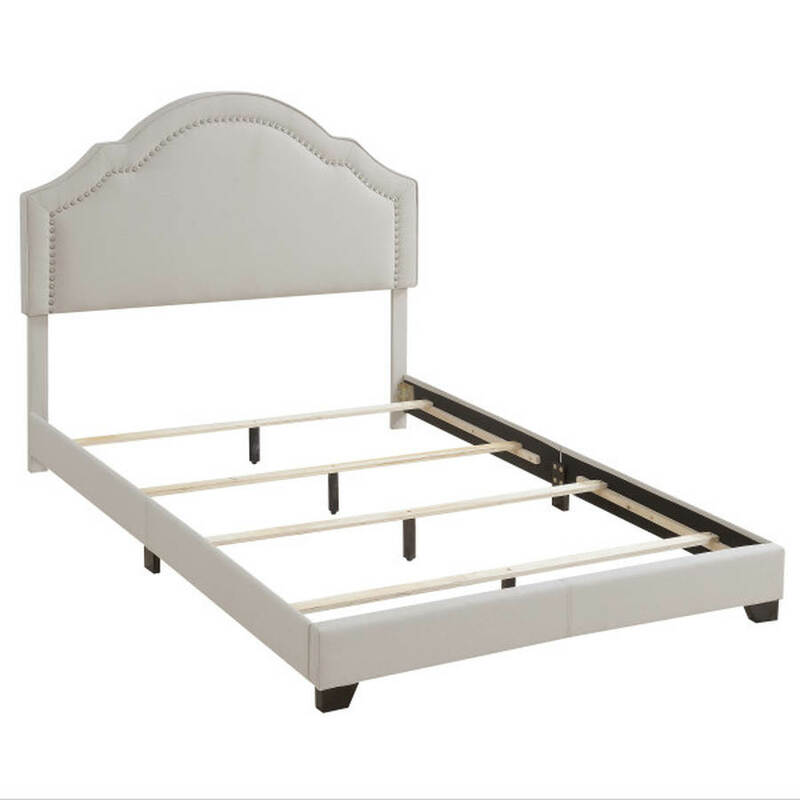 Scalloped details meet a classic camelback arch in this beautiful all-in-one upholstered bed. Inset with brushed nickel nailhead trim, the upholstered headboard offers a grand feel to your bedroom, punctuated by the matching side rails and on-trend low profile footboard. 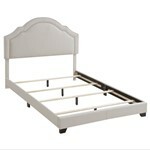 Supportive footed slats are included to support a box spring and mattress - both required and not included - for a superior sleeping experience. This plush, graceful take on a classic bed shape fits into your life as easily as your decor: innovative hinged side rails make setup and moving even easier.